Tulsa American is now accepting film and screenplay submissions for the 5th annual festival occurring October 9 – 13, 2019. To start getting our program together, we open up our submission process. We are looking for American-made films. What does American-made mean? It’s a pretty flexible meaning. Any film made, shot or created in the U.S. qualifies. It doesn’t matter where you are from. If you are an American citizen in a key role (Producer, Director, Screenwriter, Lead Talent), and you shoot your film abroad, even in another language, then your film qualifies. • Feature Film Screenplays (new this year). 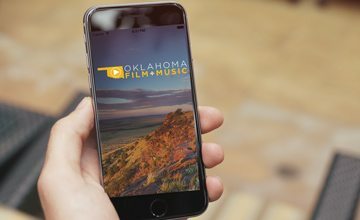 For more information and to apply, visit tulsaamericanfilmfest.com.